Todd L. Moody is a partner with Hutchison & Steffen, and practices primarily in the areas of commercial litigation, insurance defense, trust & probate litigation, adoption, personal injury, and misdemeanor criminal defense. He taught Civil Procedure as an adjunct professor at the Community College of Southern Nevada, and belongs to the State Bar of Nevada, the Clark County Bar Association, and Nevada American Inn of Court. 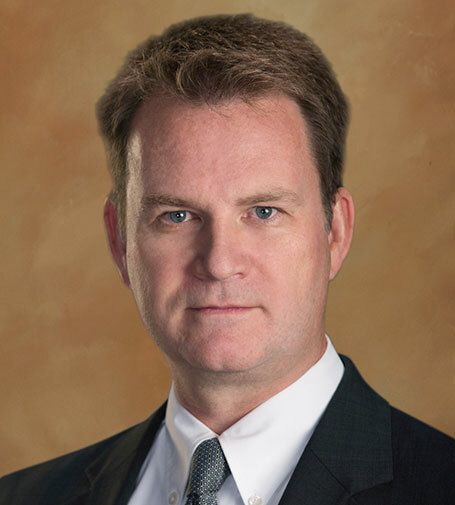 Before he practiced law, Todd obtained a degree in Public Policy from Brigham Young University in 1991 and a law degree from Mercer University where he distinguished himself in client counseling. He graduated in 1994 and was admitted to practice law in Nevada later that same year. Todd is actively involved in the community. He was appointed by the Supreme Court of Nevada to serve on the Foreclosure Mediation Panel, which was created by the Nevada legislature to lessen the impact of the foreclosure crisis on Nevada’s residents and financial institutions. Todd also assisted former U.S. Supreme Court Justice Sandra Day O’Connor in 2010 to reform state judicial campaign and election systems. He serves as Vice President and Corporate Counsel for The Economic Club of Las Vegas. He served as Chairman on the Las Vegas Planning Commission and serves on the executive board of the Las Vegas Area Council. He also serves as the Vice President of High Adventure & Career Programs on the Western Region Executive Board for the Boy Scouts of America. He previously served on the Interfaith Council of Southern Nevada, and directed public affairs while acting as spokesman for his church in Southern Nevada. In his spare time, Todd enjoys spending time with his family at lacrosse games and while hiking. He enjoys genealogy, the outdoors, traveling, and Star Wars. Todd has tried dozens of cases in both state and municipal courts, including insurance defense, commercial litigation, personal injury, and malpractice.